Extra Large Eggs, One Dozen. Our eggs have the deep-yellow yolks that you only get when you raise your chickens the right way. 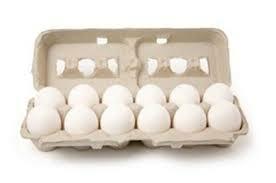 Extra Large Eggs, One Dozen. Our eggs have the deep-yellow yolks that you only get when you raise your chickens the right way. 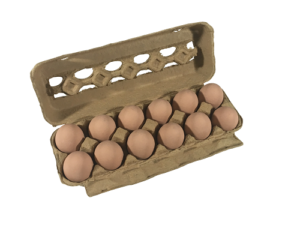 Each egg includes 7 grams of organic protein and just 70 calories. If you’ve never tasted organic eggs before, be prepared to be pleasantly surprised.